Part 1 Winners! 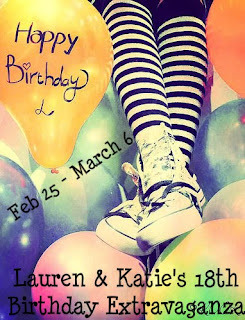 Lauren & Katie's 18th Birthday Extravaganza! 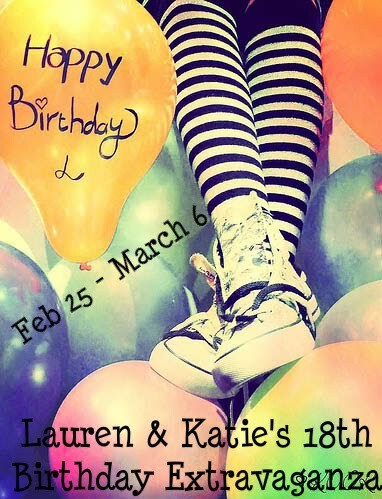 The winners have been sent an email by either Lauren or myself. The rest of the winners will be picked/announced Wednesday, March 23rd (my birthday!) So don't forget to enter for the contests that are still open! Also keep an eye out for a special guest post by the awesome Mindi Scott here at Call Me Crazy for when the other winners are announced!